Although very little is known about this car, it was undoubtedly a major milestone. The car was a simple front engined, rear drive 2 seater, in essence at least the same as Riley would still be building 40 years later. Percy started designing the car in 1893, at the age of 13, and then built the car over a period of two years, in his own workshop, presumably on his own, as his father disapproved. 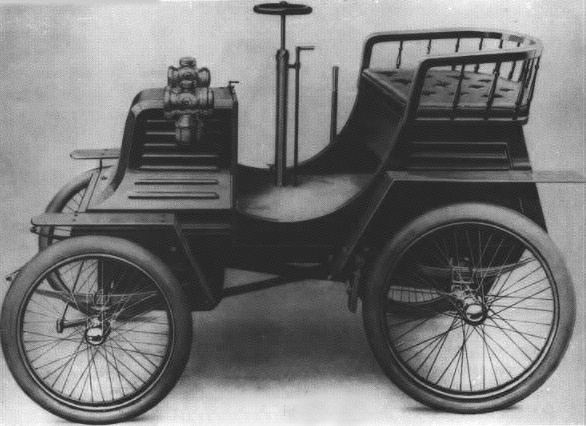 It featured many elements unusual in car design at the time - steering by wheel as opposed to tiller; Mechanically-operated valve gear (the first car to ever use this); and Mud guards! Despite being used by the family for many years, it remained a one off, and proper car production did not start until 1905. More shall be added if I find it!